The 10 Deadliest Natural Disasters Throughout History - Are You Ready for the Next Natural Disaster? _The Banqiao Reservoir Dam and Shimantan Reservoir Dam are among 62 dams in Zhumadian Prefecture of China's Henan Province that failed catastrophically or were intentionally destroyed in 1975 during Typhoon Nina. The dam failure caused the sudden loss of 18 GW of power, the equivilant of roughly 9 large modern coal fired power stations, or about 1/3 the peak demand onthe UK National Grid. _The 2004 Indian Ocean earthquake was an undersea megathrust earthquake that occurred at 00:58:53 UTC on December 26, 2004, with an epicentre off the west coast of Sumatra, Indonesia. The quake itself is known by the scientific community as the Sumatra-Andaman earthquake. 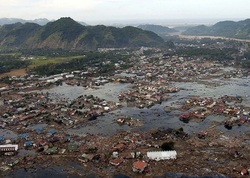 The resulting tsunami itself is given various names, including the 2004 Indian Ocean tsunami, Asian Tsunami, Indonesian Tsunami, and Boxing Day Tsunami. The earthquake was caused by subduction and triggered a series of devastating tsunamis along the coasts of most landmasses bordering the Indian Ocean, killing nearly 230,000 people in fourteen countries, and inundating coastal communities with waves up to 30 metersfeet) high. It was one of the deadliest natural disasters in recorded history. Indonesia, Sri Lanka, India, and Thailand were the hardest hit. (100 With a magnitude of between 9.1 and 9.3, it is the second largest earthquake ever recorded on a seismograph. This earthquake had the longest duration of faulting ever observed, between 8.3 and 10 minutes. It caused the entire planet to vibrate as much as 1 cm (0.4 inches) and triggered other earthquakes as far away as Alaska. The plight of the many affected people and countries prompted a widespread humanitarian response. In all, the worldwide community donated more than $7 billion (2004 U.S. dollars) in humanitarian aid. 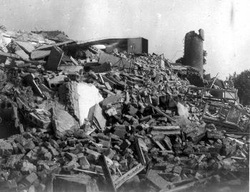 _1920 Haiyuan earthquake, was an earthquake that occurred on December 16, 1920. The epicenter was 36°30?N 105°42?E? / ?36.50°N 105.70°E? / 36.50; 105.70, in Haiyuan County, Ningxia Province, Republic of China. It was also called the 1920 Gansu earthquake because Ningxia was a part of Gansu Province when the earthquake occurred. The earthquake hit at local time 20:06:53 (GMT 12:06:53), reportedly 7.8 on the Richter magnitude scale, followed by a series of aftershocks for three years. Today's Chinese media claim the earthquake as of magnitude 8.5, although the scale is not specified. It caused total destruction (XII - the maximum intensity on the Mercalli scale) in the Lijunbu-Haiyuan-Ganyanchi are. 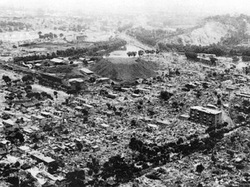 _The Tangshan Earthquake also known as the Great Tangshan Earthquake, was a natural disaster that occurred on July 28, 1976. It is believed to be the largest earthquake of the 20th century by death toll. The epicenter of the earthquake was near Tangshan in Hebei, People's Republic of China, an industrial city with approximately one million inhabitants. The number of deaths initially reported by the Chinese government was 655,000, but this number has since been stated to be around 240,000 to 255,000. A further 164,000 people were recorded as being severely injured. The earthquake came in between a series of political events involving the Communist Party of China. It shook China both literally and figuratively in 1976, which was later labeled a "Year of curse". The earthquake hit in the early morning, at 03:42:53.8 local time (1976 July 27 19:42:53.8 UTC), and lasted for around 10 seconds. Chinese Government's official sources state 7.8 on the Richter magnitude scale, though some sources listed it as high as 8.2. It was followed by a major 7.8 magnitude aftershock some 16 hours later, increasing the death toll. _In 526 during late May, probably between the 20th and the 29th, a major earthquake hit Syria and Antioch, Turkey, killing approximately 250,000 people. The earthquake was followed by a fire that destroyed most of the buildings left standing by the earthquake. Damage estimates on the Modified Mercalli scale are; VIII Antioch, VII Dafna & Seleucia Pieria. In the port of Seleucia Pereia an uplift of 0.7 - 0.8 m has been estimated, and the subsequent silting up of the harbour left it unusable. This event was the sixth deadliest natural disaster in history and the third deadliest earthquake. 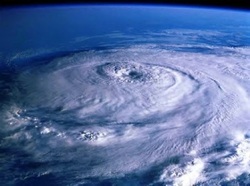 _A 40-foot storm surge from a huge cyclone that hit Coringa, India on November 25 killed 300,000 people. _The 1970 Bhola cyclone was a devastating tropical cyclone that struck East Pakistan (now Bangladesh) and India's West Bengal on November 12, 1970. 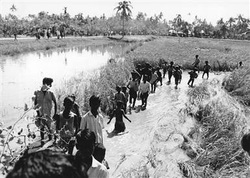 It was the deadliest tropical cyclone ever recorded, and one of the deadliest natural disasters in modern times.Up to 500,000 people lost their lives in the storm, primarily as a result of the storm surge that flooded much of the low-lying islands of the Ganges Delta, many of which had been settled illegally. This cyclone was the sixth cyclonic storm of the 1970 North Indian Ocean cyclone season, and also the season's strongest, reaching a strength equivalent to a Category 3 hurricane. _The 1556 Shaanxi earthquake or Jiajing earthquake is the deadliest earthquake on record, killing approximately 830,000 people. It occurred on the morning of 23 January 1556 in Shaanxi, during the Ming Dynasty. More than 97 counties in the provinces of Shaanxi, Shanxi, Henan, Gansu, Hebei, Shandong, Hubei, Hunan, Jiangsu and Anhui were affected. An 840-kilometre (520 mi)-wide area was destroyed, and in some counties 60% of the population was killed. Most of the population in the area at the time lived in yaodongs, artificial caves in loess cliffs, many of which collapsed during the catastrophe with great loss of life. 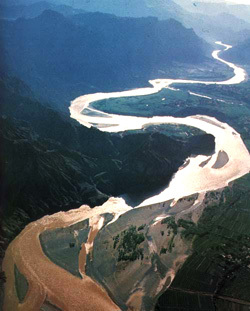 _The Yellow River (Huang He) in China is prone to flooding, due to the broad expanse of largely flat land around it. The 1887 Yellow River floods devastated the area, killing between 900,000-2,000,000 people. It was one of the deadliest natural disasters ever recorded. 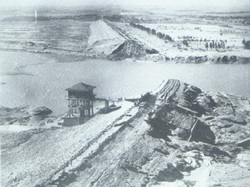 For centuries, the farmers living near the Yellow River had built dikes to contain the rising waters, caused by silt accumulation on the riverbed. In 1887, this rising riverbed, coupled with days of heavy rain, overcame the dikes, causing a massive flood. The waters of the Yellow River are generally thought to have broken through the dikes in Huayankou, near the city of Zhengzhou in Henan province. Owing to the low-lying plains near the area, the flood spread very quickly throughout Northern China, covering an estimate 50,000 square miles, swamping agricultural settlements and commercial centers. After the flood, two million were left homeless. The resulting pandemic and lack of basic essentials claimed as many lives as those lost directly by the flood itself. 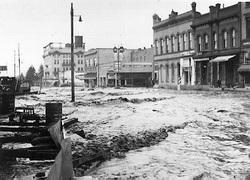 It was one of the worst floods in history, though the later 1931 Yellow River flood may have killed as many as four million. 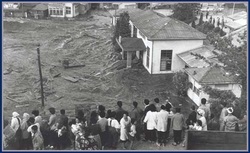 _The 1931 Central China floods or the Central China floods of 1931 are a series of floods that occurred during the Nanjing decade in the Republic of China era. It is generally considered the deadliest natural disaster ever recorded, and almost certainly the deadliest of the 20th century (when pandemics are discounted) and in China. The human casualties are estimated from 3.7 million to 4 million.